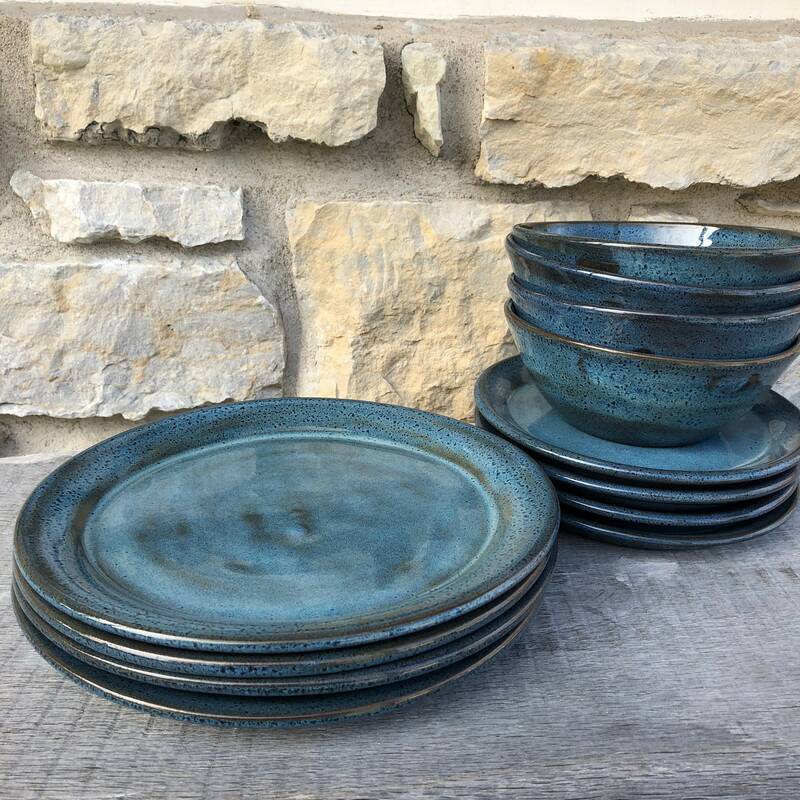 Glazed in Blue Rutile, lead free glaze, this pottery dinnerware is a unique blue with dark blue speckles with the dark brown clay visible in textured areas. Forget grandma's china, this one-of-a-kind pottery dinnerware set is the new family heirloom that will be a pleasure to use for years to come! All handcrafted pieces are wheel thrown, trimmed, signed, glazed, and fired to cone 6 by me! Each piece will be unique. Pottery dinnerware is MADE TO ORDER just for you! Quantity available does not indicate stock on hand, ALL items are made to order. If you need more than what is listed, just send me a message and I will adjust the listing. PLEASE NOTE THE CURRENT PRODUCTION TIME DURING CHECKOUT.